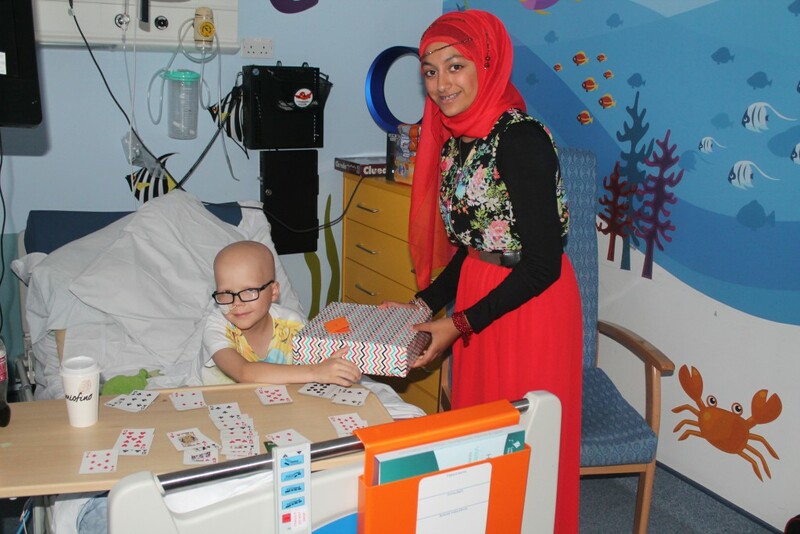 Kumon Y’All Girls have had a busy week of shopping, gift wrapping and visiting LGI with arm loads of presents this Eid, for the dishearteningly young children on the oncology wards. 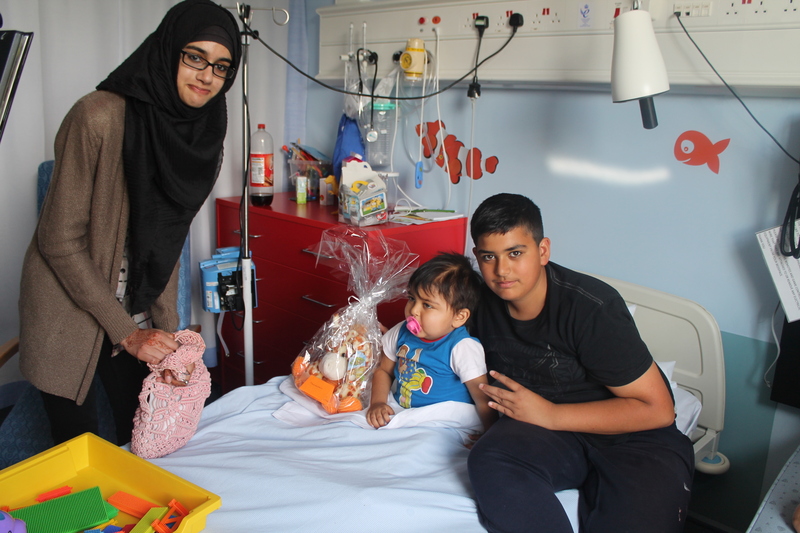 For the past couple of years Kumon Y’All Girls have visited Dewsbury Hospital on Eid to hand out presents to the poorly children in A&E and the Children’s day unit. 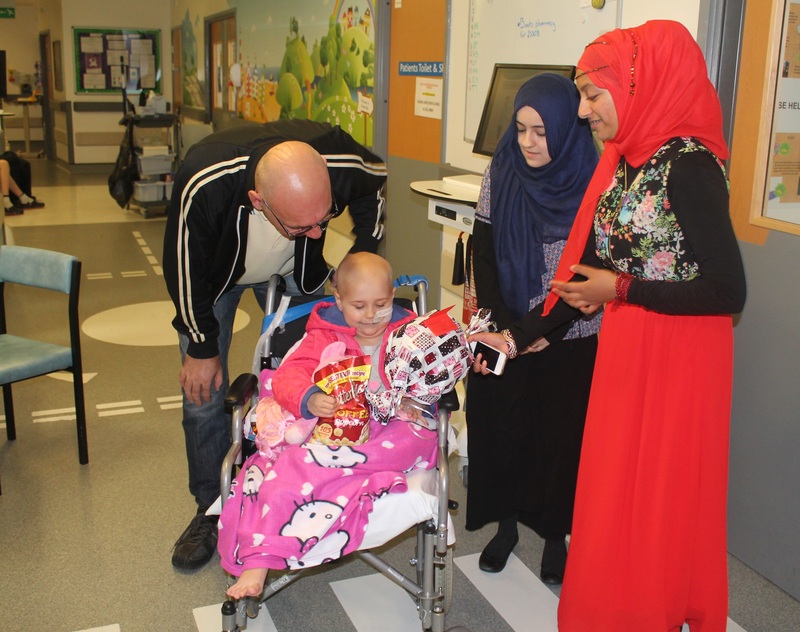 This year, determined to continue their work, reach out to a wider community, and to gift Eid presents to children struggling with a long term illness, they decided to visit the oncology department at LGI. 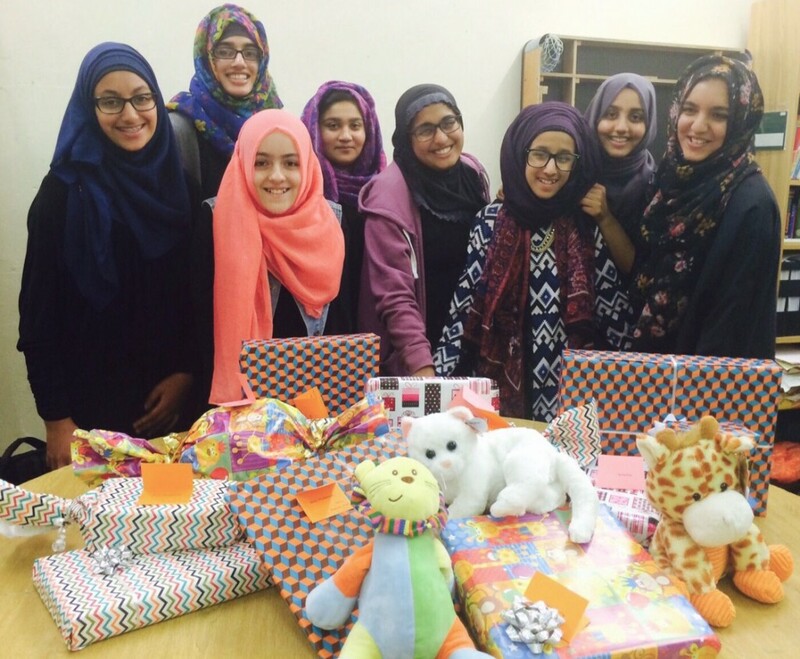 Eid is a joyous celebrations for all Muslim families across the globe, undoubtedly enjoyed most by children. 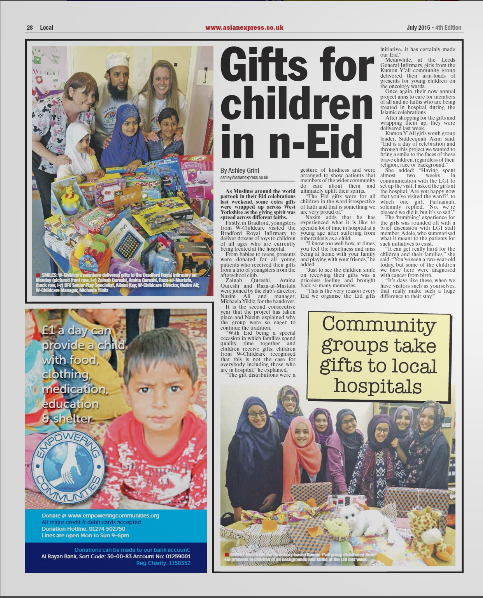 Kumon Y’All girls, who work year round on community cohesion and inclusion projects, insist on sharing every Eid with other poorly children unfortunate enough to be stuck in the hospital on this auspicious day, “Eid is a day of celebration and we want to bring a smile to the faces of these brave children, regardless of their religion, race or background”. 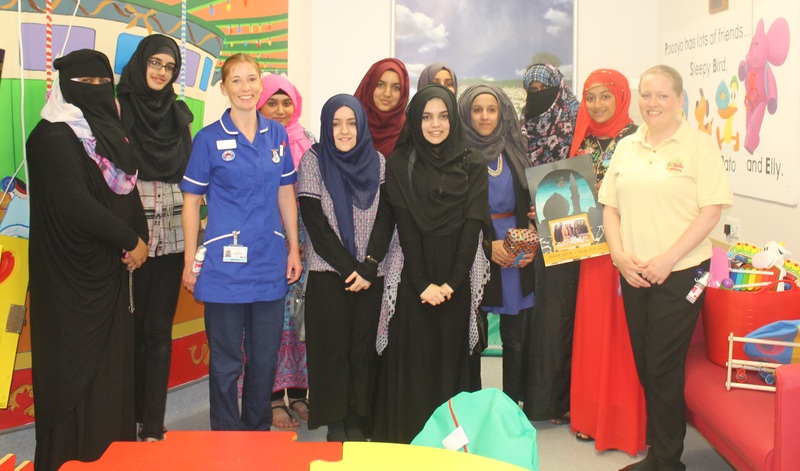 Having spent almost two weeks in communication with LGI to set up the visit, I asked the girls at the hospital, “Are you happy now that you’ve visited the ward?”, to which one girl solemnly replied, “We’re delighted we came, but it’s also so sad”. 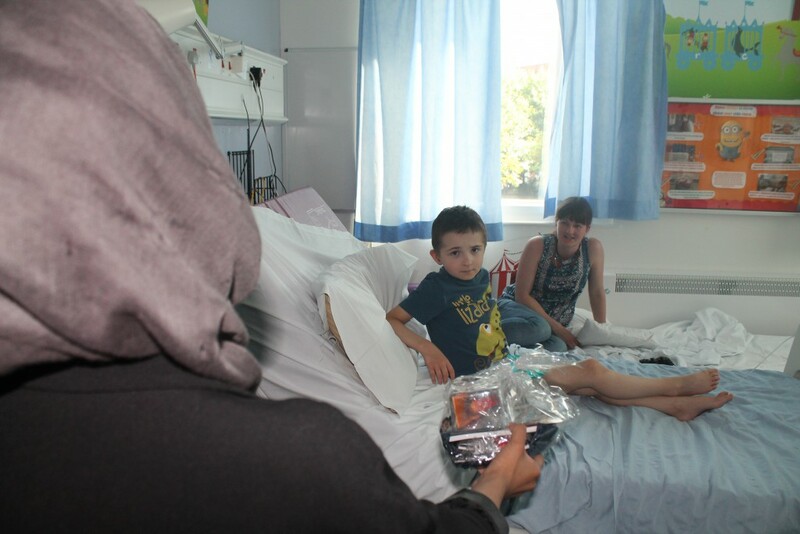 Children as young as two year olds were seen on the wards. At the hospital, it was a rewarding albeit humbling experience when Kumon Y’All Girls were greeted with smiles and shouts of “Happy Eid!” Not only were the Eid gifts a nice surprise for the children, but they were whole heartedly received and appreciated by their brave, supportive parents; one father profusely thanking Kumon Y’All Girls for being so ‘thoughtful and caring’.